We’ve got two new clips from the next episode of The Walking Dead, “The Next Deal.” In the first one, Carl has run out of closets to lock Enid in and she’s scaling the walls of Alexandria trying to escape again. Carl catches her in the act, but this time, he’s had enough. “I’m not saving you anymore, so if you get your helpless female kiester kidnapped, some other Dashing Hero besides myself will have to come to your rescue,” Carl implies. Enid comes up with a great comeback to this (and a low blow). The second clip is also about Carl, and is fortunately on Youtube. He’s also arguing against someone’s plans here, but this time it’s against Michonne. 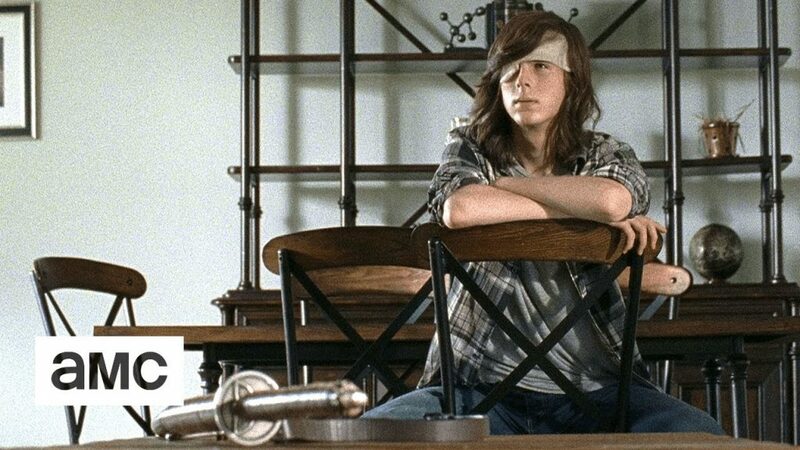 She wants to form a plan to confront Negan (and somehow win), Carl thinks it’s a big mistake. The full episode will premiere this Sunday at 9 Eastern on AMC.